Bask in the golden glow of Yangon's giant Shwedagon Pagoda. Get off the beaten track and into Myanmar’s past cycling around Bagan's temple-strewn landscape. Ride through toddy forest towards Mount Popa, a volcano in the Pegu Range that's revered as the spiritual home of Myanmar's nats. Yangon's colonial charm and glittering Shwedagon Pagoda. Myanmar, also known as Burma, is an incredible melting pot of cultures. Bordering India, Bangladesh, China, Laos and Thailand, the country is home to more than 100 ethnic groups. While the country was ruled by an oppressive military group until 2011, Myanmar is gradually on its way towards democracy. 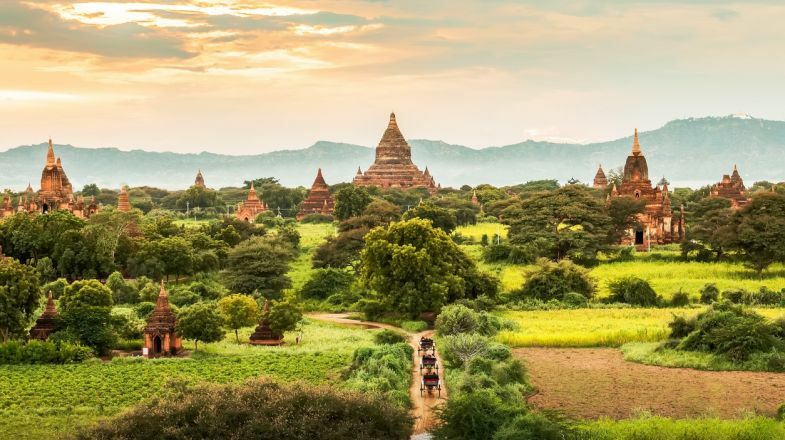 Heavily influenced by Buddhism, a trip to Myanmar will open you to spiritual atmosphere, whether you’re visiting its traditional temples or its serene beaches. If visiting a market near a temple, you'll probably come across a vendor selling caged birds. These aren't pets but are rather meant to be bought and set free by worshipers so they can earn good karma. WiFi can be found in Myanmar, but it's often very, very slow. Book as much of your travel and accommodation online as possible before your trip to avoid having to use the internet while in the country. Cash is key. The majority of shops and restaurants in Myanmar do not accept card payment. Bring both U.S. dollars and kyats with you: U.S. dollars for large transactions (hotel bills, transportation tickets, etc.) and kyats for smaller, everyday purchases. As the country continues to develop, its tourism infrastructure is trying to catch up with the influx of tourists. Book as much as you can in advance for a tour in Myanmar, as many areas of the country do not have adequate hotels and easy transportation. Men, get ready to shake up your wardrobe. The longyi is a wraparound skirt worn by both men and women in Myanmar. Visitors are encouraged to wear them as well! Myanmar has seasonal weather so please do check up on the best time to visit Myanmar before planning your tour.